It is our first #TravelTuesday for February and I have so much I want to share with you today! First off we have a brand new button for 2014. I wanted something new and bright and hope you all will enjoy a little something different to share on your Travel Tuesday posts and blog sidebars. Want to grab the button? You will find the button code below in this post. Next I want to welcome not one but two co-hosts to Travel Tuesday! Due to the interest that showered in from the co-host search I decided I could not limit this opportunity. In response I have added Tina and Melanie to Travel Tuesday for the next three months. After which time I will invite another two co-hosts for the following three months. Both Melanie and Tina have included separate shout outs to participants in last week’s Travel Tuesday link up. 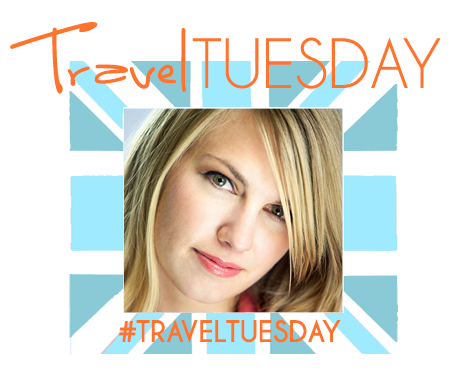 Check out their Travel Tuesday posts today to see which posts they specifically enjoyed from last week! 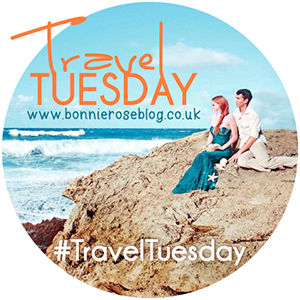 Themed Travel Tuesday posts have moved from the first Tuesday of the month to the last Tuesday of the Month. Melanie will be selecting our theme for February, Tina will be selecting our theme for March, and I will be selecting the theme for April. Every week I want to make sure to spotlight a different post that caught my eye during the #TravelTuesday link up and both Melanie and Tina will be doing the same on their blogs too. One of the things I love is to learn new things about places I want to visit. Sometimes I do not have to travel far and for me that is the case with Erin’s post London’s 10 Best Kept Secrets. One of these secrets is Daunt Books, to which Erin states, “This Edwardian-era bookshop is the perfect escape for any literature lover. The books are arranged by country allowing you to travel the world without ever leaving the shop“. Sounds like a perfect place for anyone with wanderlust and a love to explore. Speaking of London I think my favourite thing is to soak up all the examples of history and tradition. As a military brat and former military wife, I kinda have a soft spot for uniforms. 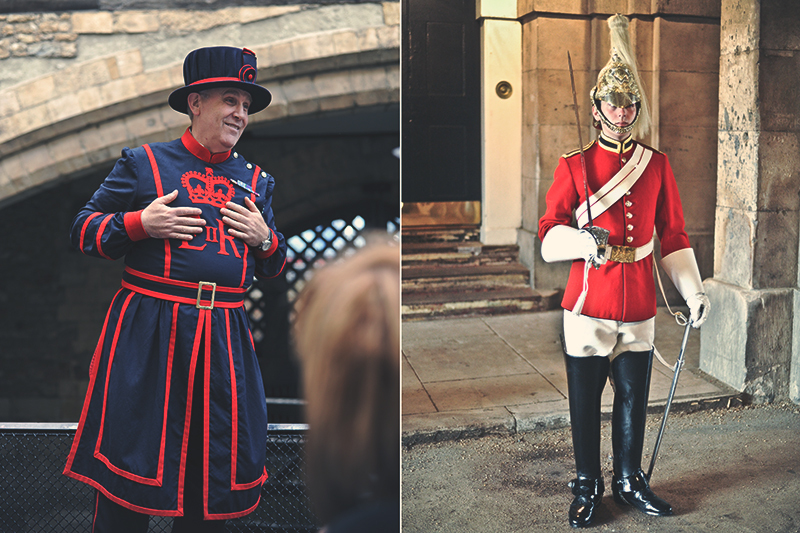 So my ‘favourites from London’ Include the uniforms of the Yeoman Warders (aka beefeaters) and the royal guards. The Yeoman Warders are best known for their scarlet and gold State dress uniforms which date from 1552. The blue dress uniforms (pictured above) were instated by Queen Victoria in 1858 and are worn for every day duties. what is a favourite thing you like about London? 2. GRAB the lovely button above. If you run into trouble, just make sure to mention Bonnie, Melanie, and Tina in a link! We all have blogger hiatuses.. is this a word? Hmm. I had one as well. I’m glad to be returning to the blogosphere! Glad to have you back Erin. Blogger hiatuses are good. I’ve def taken mine in the past. I have a thing for uniforms too!! My dad was a civilian worker for the Army and I always loved going on military bases. England sure knows how to do uniforms. I just LOVE the beefeaters!! They really do…from schools to the royals. I love it. We just found out that one of my boy’s schools is introducing the ‘houses’. We had this at their last school in Brighton. They love it because we are reading harry potter series right now too. I love London’s diversity. There is the vast choice in cafes and restaurants, art, history, pop culture, parks, the river, the shops….. It is so diverse! So much for so many different ages. Oh agreed. Love it. I had to convince my inlaws it was worth the £££, and since most of everything else is free in London I think it is so worth it. You know I havent been to that cemetery yet, will add that to our list! There is so much to do in London. Every time there is something to see and it is so diverse! One of my favourite citys in the world. I love wandering around Camden for something different. My favourite thing about London is looking toward the city and seeing St Paul’s Cathedral standing by The Gherkin, the Cheese Grater etc etc. I love that modern buildings have been built around such historical sights. It blows my mind! It so cool to see the modern and the historic all in the same spot. I love it because I ‘ll try to envision what it was like before current modern times an its great to see such history still with us. I’ve never been to London but what I’m most excited about if I were to ever visit would be go on a cemetery tour at the Highgate. I have a thing for visiting cemeteries (during the day of course). So much history on those tombstones..
Oh yes, I am right there with you with cemeteries. I really enjoyed the one we went to in Paris. Not certain if you have read that blog post, but in case you havent search for Paris on ACR. I had the lovely experienced of getting engaged in London! While that was probably my favorite part, I think visiting the Royal Mews to see the royal horses was the next best thing. I’ve never been to London but look forward to visiting! Not sure what I would most want to see but would love to visit many historical sites and drink some good tea. I have not yet made my way across the Channel to London, but I’m really looking forward to getting there sometime soon! Love the new blog design by Kate and the new button. Gorgeous! Oh you will enjoy it Megan! So much history and beauty. Thank you about the button, glad you like it! Yes, Kate did such a great job. I honestly didnt like the blog design I had ‘holding its place’ before Kate worked her magic. Now I love opening up my blog. 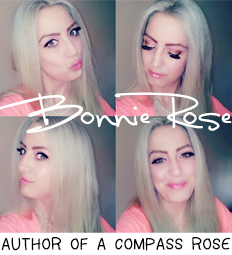 Thanks for the mention Bonnie! I’m so glad you enjoyed my post about London, I really enjoyed writing it. I’m a sucker for Horse Guard’s Parade in London, we always stop by it. Pomp and circumstance and HORSES… yes please! Aww thank you Laura for the lovely comment! I am glad you like the badge. I agree it is great for all ages. The last time we went we had the grandparents to the grandkids and it was lovely to appease all and have a great time. Its nice that you can go many times and theres always something new and different you can do or see. Thanks for continuing to host And I love the new blog design! For me, it’s the history! I’m a huge history buff & everywhere I go, even just walking to work, makes me walk past something that’s really REALLY old! History yes! Its what stops me here in Bath too. So many left over pieces of history in our day to day life. I’ve been to London several times, but I absolutely fell in love with the city after our last trip in the Summer of 2012. The people were amazing! Love that the people were amazing when you were here. Did you come for the olympics?